If you're not a complete computer whiz, a lot of the tech terms thrown out by your web hosting service might confuse you. One term that could have you scratching your head is FTP, which stands for file transfer protocol. Although it might sound confusing and high-tech, FTP is a useful method to transfer files from one location to another without ever having to be physically connected via data sources. By understanding just how FTP came to be, you can see how it can come in handy when building sites and sharing files. The original protocol for FTP was written in the golden age of computer: the 1970s. The first process was created by Abhay Bhushan, and kept in use for several years, until a new protocol was written in the early 1980s. That protocol remains in place today and is the one used to facilitate FTP around the world. While various programs and directories come into play, the same basic protocol remains the same. Believe it or not, almost all basic computers come with an FTP program built in, known as the "client." Most basic clients are functional, but can be slow. Downloading a more sophisticated FTP client can result in faster download times, but unless you're doing heavy file sharing, the basic client that came with your computer should suffice for your needs. Clients allow you to see, browse and read various files and directories and when you do choose to download specific files, they are saved and opened through the client, which can then be transferred to your hard drive. One of the main issues FTP has faced in the past is a question of security. Users can either make directories public or password-protected, both of which have specific pros and cons. While making FTP directories private can offer some security, every person who needs access to the directory will need the password. Additionally, it's possible to accidentally download corrupt and sometimes dangerous files if you don't know or trust the directory author. Security issues aside, FTP can be a helpful tool when designing and building a website, particularly if you need to transfer a great deal of large files, such as sound clips, videos and pictures. With all files in a directory, others can simply go into the directory and pick and choose the files they want to download. This is especially ideal if you're copying files to a new website and don't want to find and download each file individually. 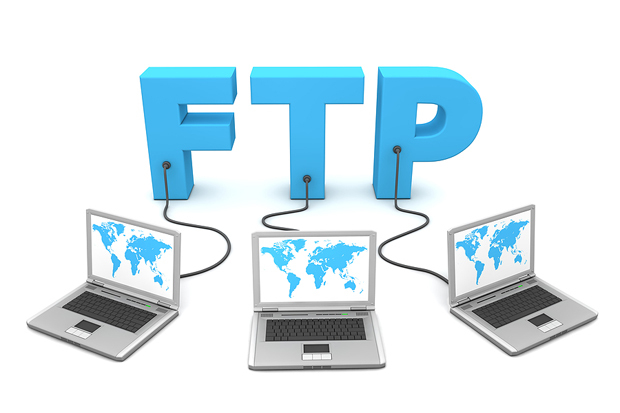 Thanks to advances in speed and sharing, FTP is faster and more convenient than ever. Whether you're building a website, moving to a new web or domain host, or simply need to download a large file, FTP is the way to go. It efficiently displays all the files you need in one place. Armed with the right client, you have the ability to download files remotely, which could mean an end to emailed files, countless flash drives and too much time sending and receiving files individually.